Elegant family home in Lakeshore Woods, located directly across from Nautical Park! This 4.1 bedroom, 4.1 bath home offers 4,130 square feet including a fully finished lower level. Well appointed with upgrades throughout including oak hardwood flooring, crown moulding, and Restoration Hardware lighting fixtures. Don’t you just love the natural charm and earthy elegance that wood furniture brings to any room? There’s something about exposed natural wood that makes a space extra special. It may be the added warmth, the beauty of nature, or maybe just because it blends so well with almost any decorating style. 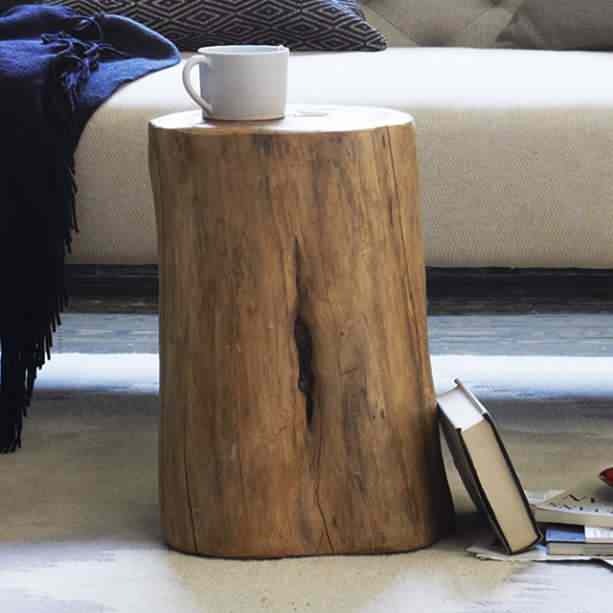 Whatever it is, we sure do appreciate decors and furnishings in wood trunks and logs and perhaps, you do too! Below are some ways wood can be used to decorate your space. Scroll through them and maybe, just maybe, you’ll find some inspiring piece to replicate in your home too! If you've been waiting to find that rare combination of a lush, deep lot at a prestigious SE Oakville address south of Lakeshore Rd., look no further. Enjoy this lovely, updated home just the way it is, or customize to your specifications by renovating or building new on the wooded, 236-foot deep lot with western exposure. Located on a prime, lakefront street in Olde Oakville, this home is just steps to the vast beauty of Lake Ontario and an easy stroll (less than 1 km) to the shoppes and fine restaurants of downtown Oakville. Mature greenery abounds in the deep backyard. It doesn't back directly onto any other homes, which further enhances the sense of privacy. Simple elegance in one of Oakville’s most desired pockets. The contemporary exterior with traditional interior elements makes this property feel like home. Bring the outdoors in with oversized windows across the front of the home allowing immense amount of light throughout each room. Almost 2,700 square feet on the top two levels. An open concept kitchen, family room and dining is the heart of the home and the perfect area to entertain family and friends. The main floor also features a full bedroom and washroom – a perfect in-law or nanny suite. This exquisitely designed, gated residence combines the creative talents of award winning David Small Designs (architecture) and celebrity designer Ramsin Khachi (interiors). Together they create the veritable “dream team” of custom home design. Built in 2015 and located on South East Oakville’s “street of dreams”, this home provides 6,457 sqft above grade, with an additional 4,093 sqft in the fully finished walk-out lower level. An elevator services all three levels. The airy ambiance created by 10 foot ceilings on the main and upper levels is ignited by natural light pouring in from a plethora of skylights. Bachly Construction’s masterpiece, honoured in 2009 with the Canadian Home Builders’ Association SAM Award for “Best Custom Home Over 4,000 square feet”. Over 14,500 square feet of finished space on more than an acre. Located on one of Southeast Oakville’s most exclusive streets. Entertainers will delight in its offerings, inside and out. Beautiful direct water view from this one of a kind suite at Oakville’s premium waterfront condominium building – Bluwater Condominiums! With over 1,340 square feet of living space this was originally a two bedroom plus den suite that has been modified to be a sprawling one bedroom suite with a beautiful dressing room and expansive living area. A beautiful outdoor balcony overlooking the water offers an additional 200 square feet of living space. The top of the line expanded kitchen has built-in European appliances, waterfall granite countertop and large undermount sink over looks the oversized living room and dining room and is perfect for those who love to entertain. Over $50,000 in upgrades throughout the suite including upgraded Oak Hardwood floors, Built-in closets, Upgraded light fixtures, Gas BBQ hookup on balcony – the list goes on! One parking spot and one locker included. Prime location with access to endless kilometres of treed walking and biking trails. Custom new-build in the heart of Eastlake's Morrison neighbourhood. A home that exudes the best of luxury and comfort. Meticulously designed and built. Exceptional floor plan with 10' ceilings and multi-purpose spaces; great for the needs of today's families.